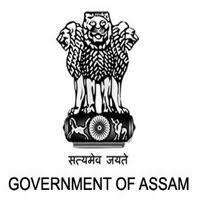 Computor (Directorate) recruitment in Directorate of Fisheries, Assam, Guwahati-16. Qualification: HSSLC passed with either Mathematics or Economics or Statistics as one of the subjects.Candidates must have One year Computer diploma course from recognized Institute. Application Fees: OBC Rs.150/- deposited through Treasury Challan under the Head of Account 0405- Fisheries-800-other Receipts.